Free & Legal software for "new computer" and "office" desktop needs. 10 Years ago I started a search for free software I could use for my computers while starting a small company. Learning to use software effectively requires a huge personal time investment, something you don't easily abandon when business arrangements change. This is how you get "locked in" to using a particular vendor's software. Too many times I started using software at a price I could afford, less than $500, only to have a software vendor make a business decision to change terms and raise the price to $4000 the next year, forcing me to pay a larger fee every year for a license to operate their software. This happened when OrCAD sold their software to Cadence Design Systems. Then again when Eagle sold their software to Autodesk. Newer business models sell software as a service "SaaS" so you will pay an annual subscription to continue using their software. Microsoft is doing this with Windows 10, Windows 7 and MS Office. Larger Software companies are members of the BSA Business Software Alliance. Members include: Adobe, Altium, ANSYS Inc., Apple, Autodesk, Bentley Systems, CA Technologies, CNC Software – Mastercam, DELL, IBM, Intel, Intuit, Microsoft, Minitab, Oracle, PTC, Rockwell Automation, Rosetta Stone, Salesforce.com, Siemens, PLM Software Inc., Symantec, Tekla, The MathWorks, Trend Micro. Many of these companies employ Trojan Horse software installed on your computer as part of their software installation which "phones home" to entrap and extort money from people who aren't following their software legal usage agreements to the letter. Most of you don't have any defense against this type of attack, hence this page offering alternative solutions to help you stay legal and free. Keep your pocket book healthy for the commercial software you may need to get your work done. I want to help others avoid these traps and loss of time and money which should be going toward activities which have value to individual, family, and your current sources of income. I picked through a mountain of free software applications which don't contain Trojan Horse software and this is the best of what I found. These are some of the "tools" I use to accomplish my own professional activities. If you find something better, please let me know! And feel free to share this page with your friends/family. Ninite is able to install most of the programs below, quickly and automatically. Just check off what you want. Don't forget to click Java under Runtime if you grab one of the office suites. Java isn't required, but does make things easier. You may see one or two other things you want while looking at Ninite's list. LibreOffice and OpenOffice save files natively in a Standard OpenDocument format which MS Office can also read/write. LibreOffice can also read/write Microsoft files. [e.g. .DOC, .DOCX, XLS, and XLXS type files]. OpenDocument / ISO-IEC 26300 is important if you keep your files for years and expect to print, open, edit, use them years later using newer or even different software. The European Union uses OpenDocument format for document archival and exchange. Adoption / Report. The US Government is a little late to the game but is starting to do the same. I have both LibreOffice and OpenOffice installed on the same machine. LibreOffice (LO) is the most state of the art and free office suite available. OpenOffice (OO) is slightly simpler and did a better job of converting an Office 2007 DOCX file. Both use the OpenDocument format so it's painless to switch back and forth. I consider both to be very good, reliable, and easy to use. To work with MS-Access files using LibreOffice Base in Windows 7 and newer, an ODBC link must be made and used by LibreOffice Base. In Windows XP, MS Jet Engine for XP must be installed prior to creating the ODBC link to your MS-Access file. I recommend LibreOffice where a highly capable fully functioning office suite is needed for full featured enterprise desktop computing. Similar to MS Visio. Can be used to create simple or complicated diagrams. It offers a variety of built-in shapes, objects, and stencils to work with. Exports diagrams to popular formats [PDF, PNG, BMP, GIF, JPG, SVG, EPS, EMF, HTML, etc.] usable in professional documentation, web sites, or just print a page. Other Browsers are good; Chrome, Opera, MSIE 11, but what sets Firefox apart is it's secure Sync... feature. Sync makes a secure encrypted backup of Bookmarks, History, Passwords, Preferences, Add-ons, and Tabs on a remote server. Sync will also "Sync" all your Firefox installations on all computers and phones so it's like having the same browser on all your machines. If one of them dies or is lost, no problem, Sync and everything will be restored. 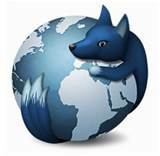 Waterfox is the 64-bit version of 32-bit Firefox. Waterfox improved my Vista-x64 Laptop video frame rate from 3FPS to 15FPS. Your mileage may vary. Depending on your OS (XP, Vista, Win7, Win8, Win10) Firefox may have to be installed to download LibreOffice. 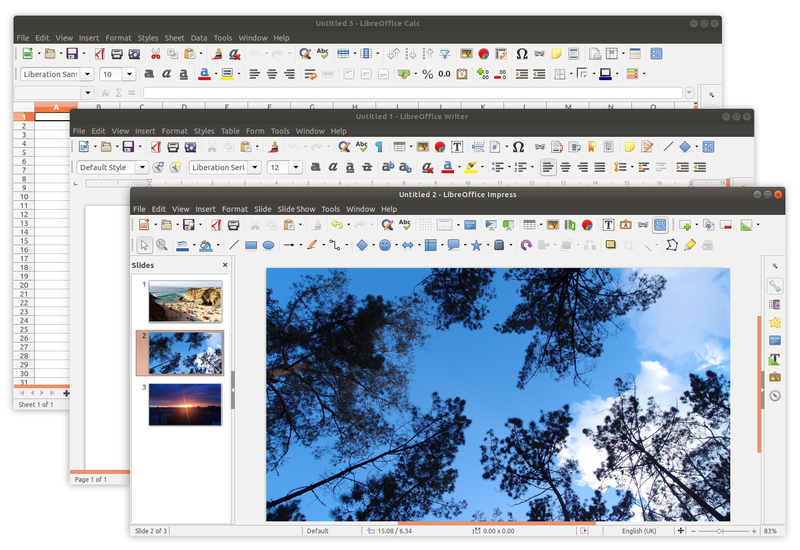 Many versions of MSIE were broken and wouldn't complete a LibreOffice size download. Firefox, Waterfox, Chrome, and Opera cure this issue. Don't have Outlook? I use Thunderbird (It's free). Compatible with Yahoo Mail IMAP/POP3 (secure), Google Mail IMAP/POP3 (secure), pretty much any IMAP or POP3 capable server (Comcast, etc) with or without security. Calendar speaks iCAL and CalDAV for connection to remote server calendars. There is an Add-On for Google Calendar linkage. Our HOA Web Page Calendar is a Google Calendar I maintain from Lightning. Addressbook (Contacts) can be Sync'ed with remote CardDAV servers. I use Google Contacts Add-ons to sync with remote Google servers. Search for these in "Add-Ons" if you need them. Plays most multimedia files (MP4, MKV, etc) as well as DVD, Audio CD, VCD, and various streaming protocols. For Linux, check your distribution for the program "7za"
Need to access your work computer from home, or home computer from work? This program works cross platform i.e. Access your home Mac from a work Windows machine. Seems like everyone needs a Torrent client for something. This one is "simple" yet has all the features most need even for sophisticated setups. I use Torrent to help distribute Star Trek Continues BluRay and DVD images. For Linux, check your distribution for "transmisson". It works, it's Free, and it auto-updates. My only complaint is I have to turn off "Chatty Kathy" who talks to me everytime this software does something. Fortunately this speaking feature is configurable. Fast, reliable, and user configurable. Block Phishing exploits, and sites you don't want your children to see. This is "configured" into your setup as opposed to "installed". It won't take any space in your machine and the benfits will give you peace of mind and faster web surfing. DNS stands for Domain Name Service. It's the service inside your computer which translates things like CrystalRidge.arno.com to 50.46.234.17 so your computers network connection can navigate to the right place on the internet. A suitable replacement for Quicken/Quickbooks. Double entry accounting and chart of accounts/invoicing capability. I talked to the developers of this product (yes, they will actually talk to you) and they have a several year plan to make GnuCash a true multi-user networked application. QuickBooks can do this now, but for a price. 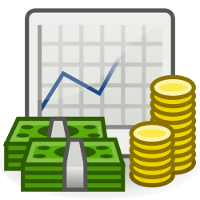 If you can do mostly Single user operation for now then GnuCash may be able to handle your business and personal accounting needs. Looking for a Free Electronic Design CAD alternative? 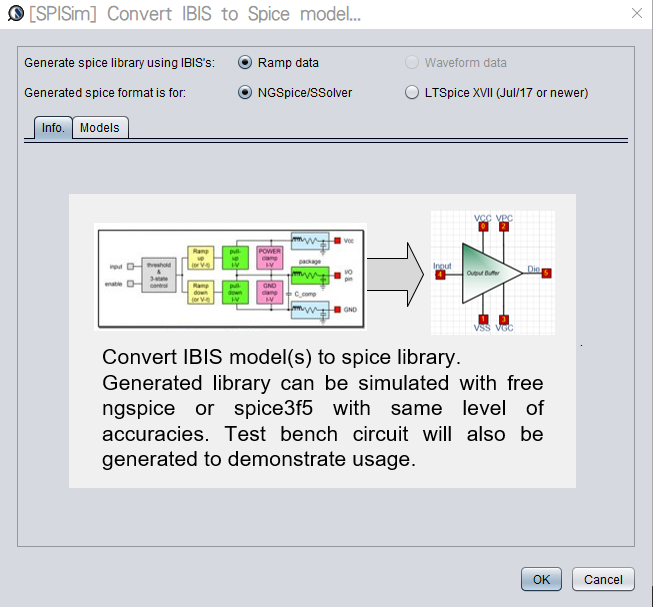 KiCAD supports Schematic entry, PCB Layout, SPICE Simulation, and 3D modeling (with FreeCAD). Looking for a Free Mechanical CAD alternative? 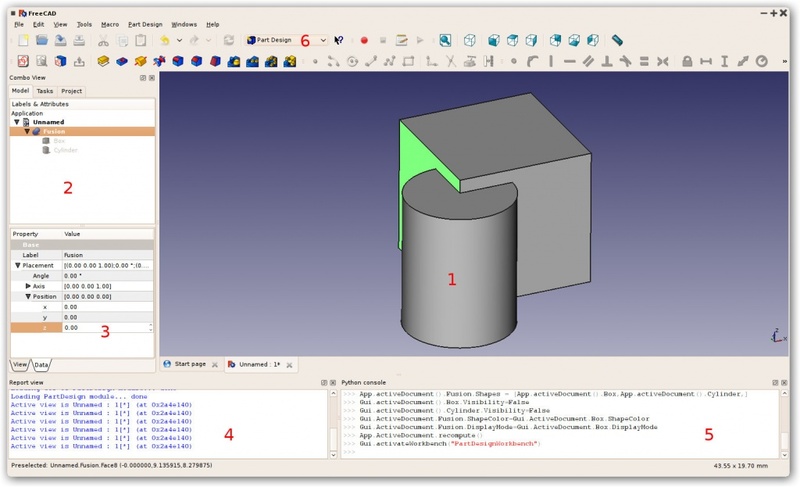 FreeCAD is considered the best not commercially encumbered mechanical CAD alternative available, also used to support 3D modeling in KiCAD (electronics). Looks and feels more like MS-Office, works on portable IOS and Android devices, and operates with MS Office doc, docx, xls, xlsx, ppt, and pptx files. WPS is another good office suite. Runs on all major platforms; desktop and portable IOS/Android based computers. Perfect if you need high compatibility with the MS Office product suite. Your choice of current MS Office 2007 or 2003 type user interfaces. The free version of WPS drops the ability to write docx, xlsx, and pptx support after a 30-day trial period. WPS will still read MS docx, xlsx, and pptx files after the trial period ends. This will leave doc, xls, and ppt file read/write support available in the free WPS. These older Microsoft formats work well for transfering files between MS Office, LibreOffice, OpenOffice, and other installations of WPS Office. WPS does not support the OpenDocument / ISO-IEC 26300 format standard. I recommend WPS when high seamless compatibility is needed with MS Office; for school and business and/or an Office Suite is desired for portable devices. Think something else should be added to or corrected on this page, or you have something better? Use feedback below to send your suggestions to me.